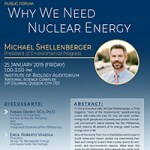 The Strategic Studies Program (SSP) of the University of the Philippines’ Center for Integrative and Development Studies (UP CIDS), in partnership with the UP Diliman Department of Political Science, will hold a lecture, “Change and Continuity in China’s Foreign Policy”, on Wednesday, 10 October 2018 from 1:30 P.M. to 4:00 P.M. at the UP CIDS Conference Hall, Lower Ground Floor, Ang Bahay ng Alumni, Diliman, Quezon City. 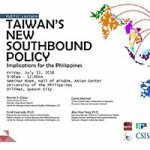 The public is invited to attend a lecture on Taiwan’s New Southbound Policy: Implications for the Philippines on 13 July 2018 at 9:00am to 12:00nn to be held at the Seminar Room, Hall of Wisdom of the Asian Center, University of the Philippines, Diliman, Quezon City. 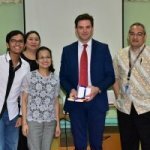 The UP Center for Integrative and Development Studies (UP CIDS), in cooperation with the United Nations Educational, Scientific and Cultural Organization (UNESCO) and the Philippine National Commission for UNESCO (NATCOM PH), will be holding the UNESCO Management for Social Transformation (MOST) Academy on Inclusive Policy and Valorization of Knowledge on March 21 to 22, 2018 at Brentwood Suites, Quezon City. 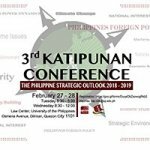 ​The Strategic Studies Program (SSP) of the UP Center for Integrative and Development Studies (UP CIDS), in partnership with the Institute of Maritime Affairs and Law of the Sea (IMLOS) is hosting the 3rd Katipunan Conference: The Philippine Strategic Outlook 2018 – 2019 on February 27 – 28, 2018 (Tuesday 8:30 – 5:00 & Wednesday 8:30 – 12:00) at the Law Center, University of the Philippines, Osmena Avenue, Diliman, Quezon City 1101. 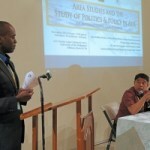 The Asian Politics & Policy, University of the Philippines Department of Political Science, UP Center for Integrative and Development Studies (UP CIDS) Program on Strategic Studies, and UP CIDS Program on Social and Political Change hosted an international conference on November 28-29, 2017 at the GT Toyota Asian Cultural Center in UP Diliman, Quezon City.